Can you say "Star Wars: Battlefront 3"? For those of you who are addicted to Facebook’s Angry Birds Friends to the point of racing to the computer every Monday morning to play the weekly tournament levels (it’s not just me, right? RIGHT?) then you will have already seen this, but if not then have I got a treat for you! 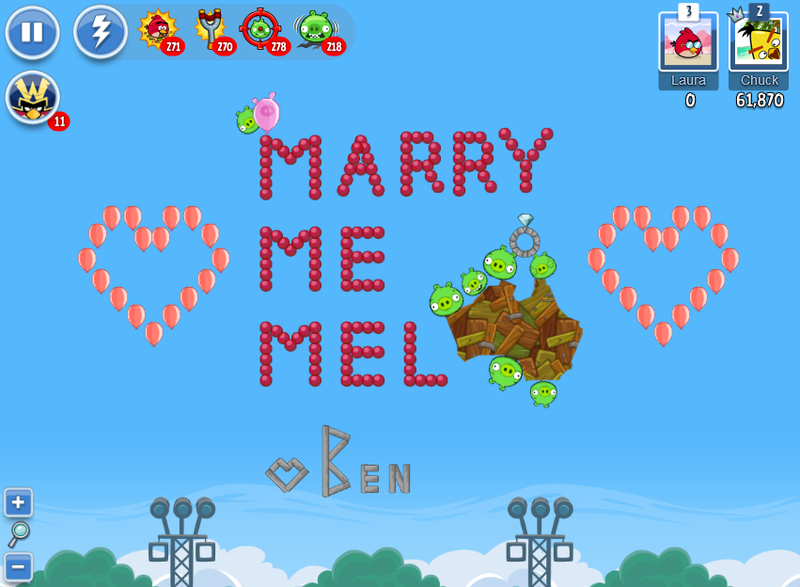 I don’t know who these people are (aside from the fact that their names are obviously Ben and Mel, and they are presumably Australian ABF addicts) but just on the off-chance they read Geek Pride: guys, you HAVE to have an Angry Birds wedding cake, or at least a precariously-balanced tower with piggie cupcakes on it.